… is a High Pressure Reservoir Liquid/Gas Analyzer that consists of two sub-systems which operate simultaneously to provide compositional analysis of single phase fluids, as well as dewpoint and lean gases, at pressures to 5000 psi, from N2 to C44. There is no need for differential liberation prior to compositional analysis. The SUPER GC eliminates the need for separate GC analyses to handle permanent gases, light ends, and heavier hydrocarbon components, thereby reducing errors in the final result. 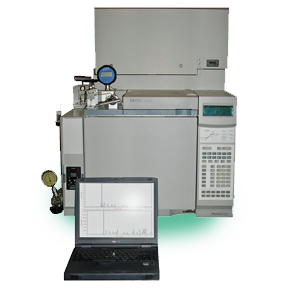 The SUPER GC system can provide Natural Gas analysis (GPA 2261) AND Extended Natural Gas analysis (GPA 2286) with optional BTU calculations. It also provides analysis of live black oil (crudes) via second injection with an internal standard (material balance calculations). Optional Simulated Distillation module for boiling point distribution from the same data. Output results in Weight%, Volume%, Mole%; physical property calculations such as API gravity, live sample MW (molecular weight) determination, paraffin wax content. User custom property calculations can be added easily.